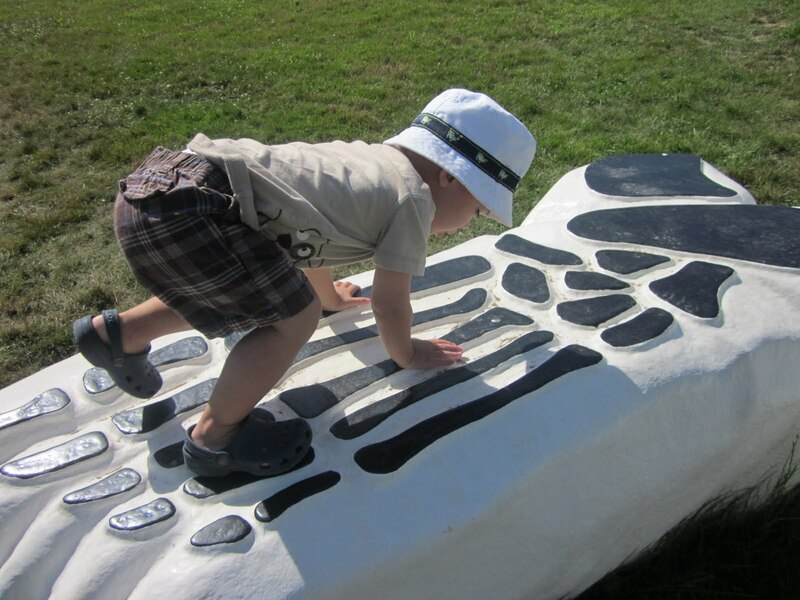 Last week, the arrow and I returned to two of our favorite outings from last summer, and the difference in his abilities, interest, and interaction with the world in just the past year amazed me. He's gone from basically being in our arms or in the stroller to getting his hands on just about everything. And he'll do it all by himself, thank you very much. In 2011, he owned the court. 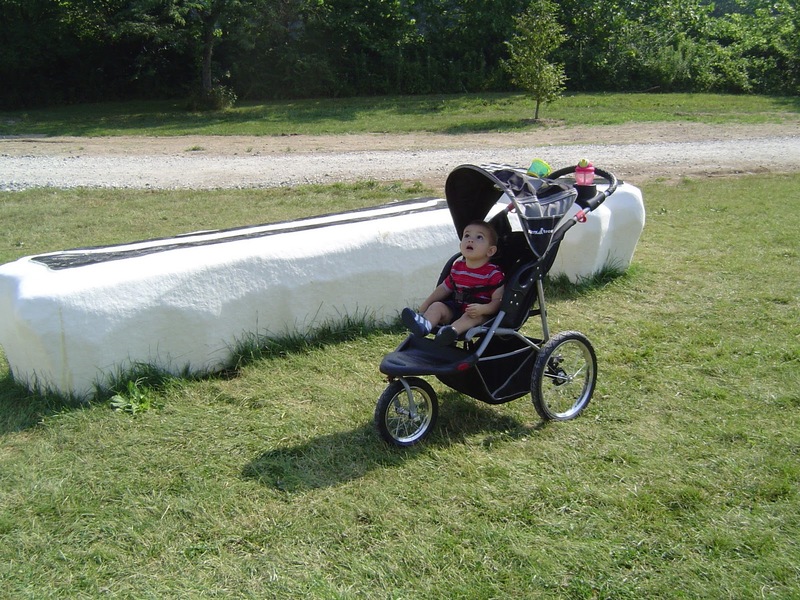 In 2010, I don't think he even noticed Atelier Van Lieshout's enormous Funky Bones. The plane flying overhead was far more interesting. In 2011, I had to pry him off of this chain of benches that form a giant skeleton. 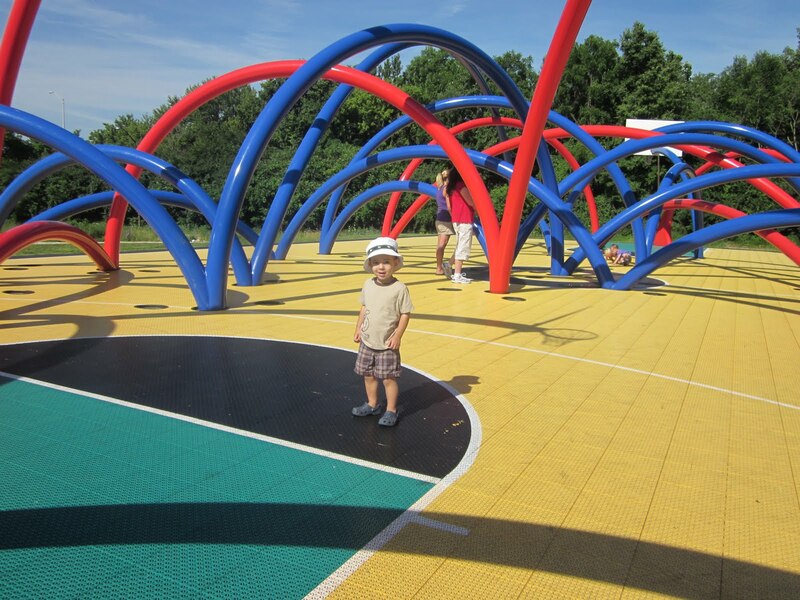 Insider Tip: 100 Acres is a great spot for a toddler playdate in Indy and a great alternative to playgrounds. Moms and dads can talk as you walk from sculpture to sculpture and even while the kids play at each "stop." A lot of it (but not all) is in the shade. Great spot for a picnic lunch, too. More tips from my original post about 100 Acres here. 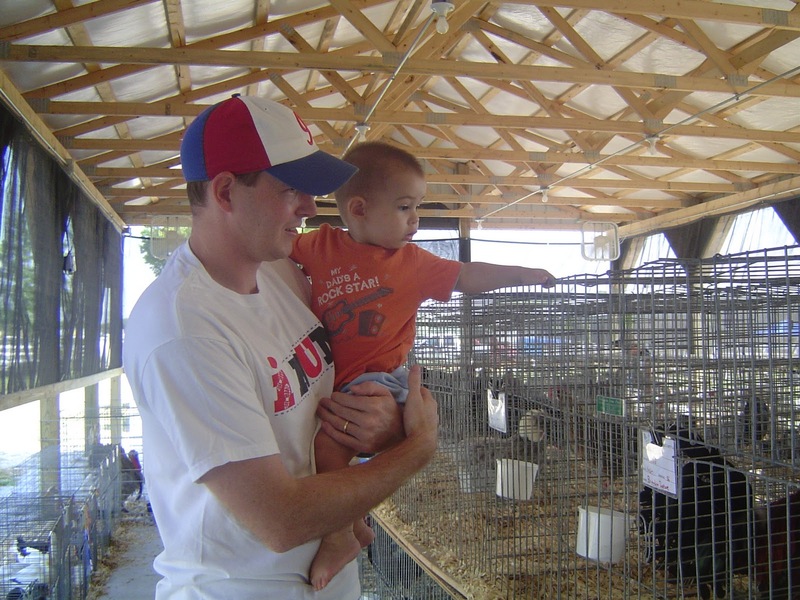 July is the month that most of Indiana's county fairs take place, in anticipation of the Indiana State Fair in early August. 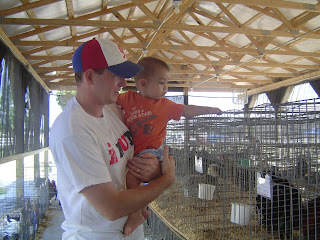 In 2010, we visited the Bartholomew County Fair on a quiet weekend morning. The arrow loved seeing all the animals. 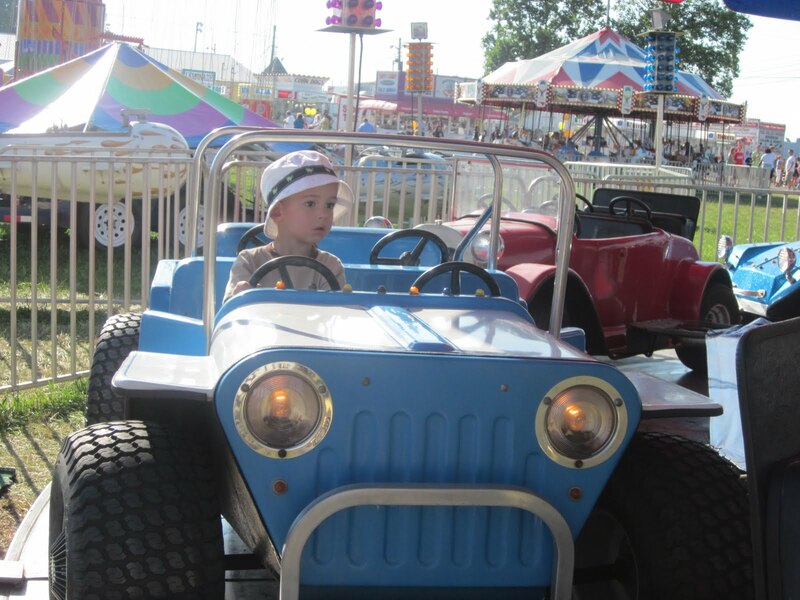 He was oblivious to the dozens of carnival rides beckoning him just a few yards away. In 2011, he wanted to ride everything. In 2010, fair food was a foreign concept. 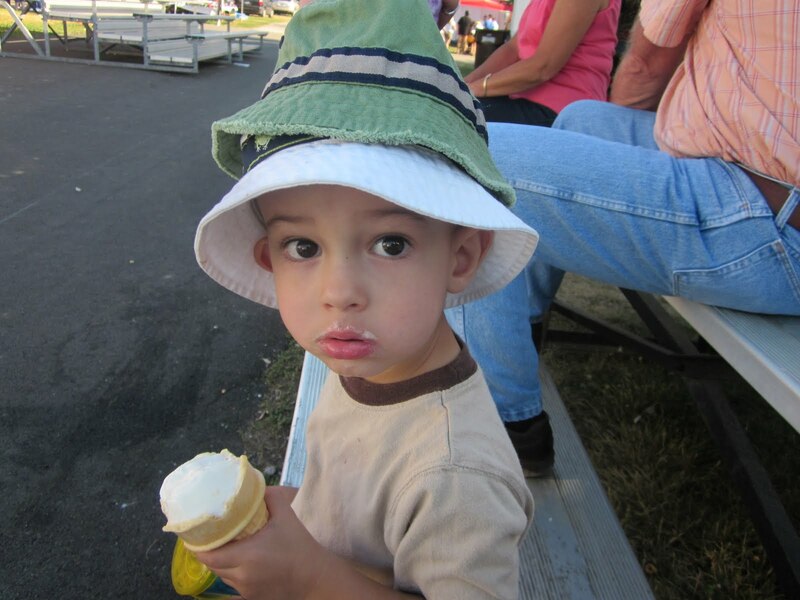 In 2011, he stole his mom's ice cream cone. Summer is a great time to explore new places. On Monday, I'll post about a visit to a new-to-us state park. But it's also a great time for traditions, places you visit year after year. These are two of our favorites. What destinations do you make sure to return to each year? In case you missed my other "then and now" post from Monday, you can see some cute video of the arrow here (you'll also learn his real name!). And one more plug for my new Facebook page... you can keep up with Arrows Sent Forth by liking us over there. That looks like such a fun place. 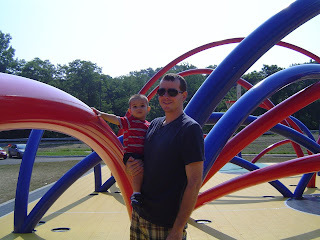 My boys would love sculptures that they could climb on. Amazing how fast they grow,isn't it? great idea for a story, and well told through both words and photos. thanks. I love this post!! It's amazing how fast they grow in a short span of one year, isn't it? Love the comparison! Ditto what everyone else has said about how fast kids grow - it seems like one minute they are that size and the next they are taller than you!